Jim Al-Khalili is a famous British physicist and author of Iraqi descent. A professor of Theoretical Physics at the University of Surrey, Al-Khalili gained fame for writing a popular science book named “Blackholes, Wormholes and Time Machines”. He often appears on several television shows to explain scientific ideas. 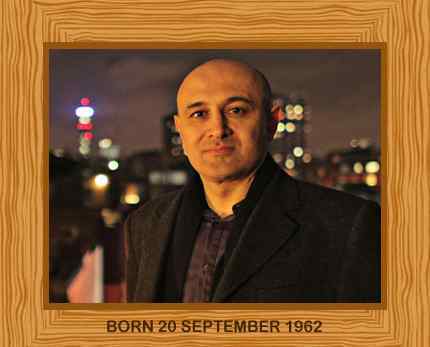 Jim Al-Khalili was born in Baghdad on 20 September in 1962. His Iraqi father was an Air Force engineer and his mother was a librarian. After studying physics at the University of Surrey, he was awarded a B.Sc. degree in 1986. He completed his Ph.D. on nuclear reaction theory in 1989. In the same year, he was awarded a postdoctoral fellowship at University College London. After returning to Surrey in 1991, first as a research assistant, then as a lecture, Jim Al-Khalili became an expert and notable author on mathematical models of exotic atomic nuclei. As a prominent broadcaster, he frequently appears on television and radio. He has written countless articles for the British press. Al-Khalili was honored with the Royal Society Michael Faraday Prize for science communication in 2007. He is also a member of the British Council Science and Engineering Advisory Group as well as the Royal Society Equality and Diversity Panel. He was appointed Officer of the Order of the British Empire (OBE) in 2008.